Your eyes start to feel heavy and the prospect of slogging through another two or three hours of work seems entirely unsurmountable. Sometimes referred to as the “midday slump,” at one point or another we’ve all likely experienced its effects. 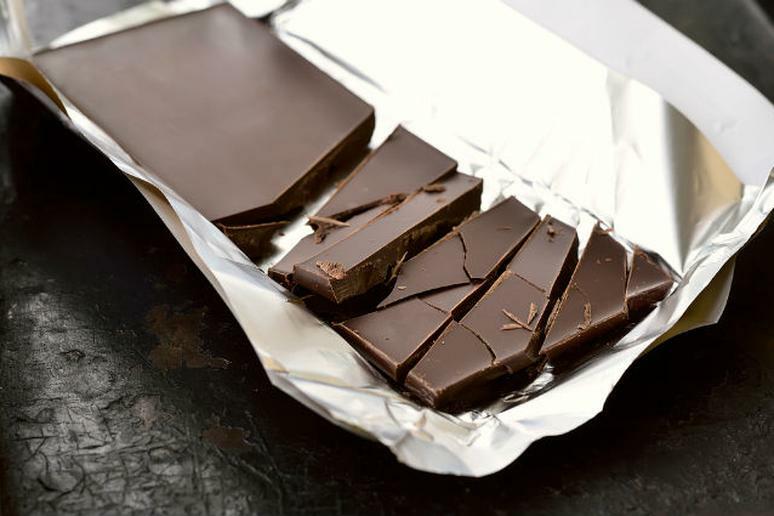 But instead of turning to coffee or other caffeinated products so late in the day, which might make it hard for you to fall asleep at a regular hour later on, scientists say that dark chocolate may actually be an equally effective pick-me-up. A recent study published in the journal NeuroRegulation, which, full disclosure, was sponsored by the Hershey Company, found that consuming dark chocolate may help improve alertness and attentiveness in the brain. To investigate if chocolate consumption provides an immediate stimulant effect, Larry Stevens, a professor of psychological sciences at Northern Arizona University used electroencephalogram (EEG), or brain imaging, to monitor 122 subjects between 18 and 25 years old. Some subjects blindly consumed 60 percent cacao confection samples and the effects were compared to subjects who consumed one of five other control conditions. The results revealed that the brains of those who consumed the sample with 60 percent cacao were more attentive and alert. "Chocolate is indeed a stimulant and it activates the brain in a really special way," said Stevens. "It can increase brain characteristics of attention, and it also significantly affects blood pressure levels." This means that next time you’re struggling to make it over that afternoon hump, snacking on a small amount of dark chocolate might actually help to boost your brain activity. Plus, not only can this sweet treat help you power through the end of your day, but it’s also known for providing many other health benefits like improved cardiovascular health and immune-boosting antioxidants. What’s more, the researchers also found that one of the control conditions—60 percent cacao combined with an amino acid called L-theanine—caused an immediate drop in blood pressure. "It's remarkable. The potential here is for a heart healthy chocolate confection that contains a high level of cacao with L-theanine that is good for your heart, lowers blood pressure and helps you pay attention," Stevens said. The dark chocolate, L-theanine combo isn’t available in any products currently on the market, though. But Stevens and his team hope to conduct more research that will investigate the health benefits and eventually lead to the development of a chocolate product that contains both.